After almost an hour of useless waiting time at the Bangladesh Embassy in Kathmandu, Nepal, the news came out that consul refused to grant me a visa. He said, it's either i apply on arrival ( that's not practical - see airport to airport) or i go to Kolkata in India which is non-negotiable as i won't be traveling to India now. Mind you, this was the second time i try to get a visa for Bangladesh. The last time, everything was sorted out but Nabila bank was closed for four days, and i'm losing so much time sorting my application. 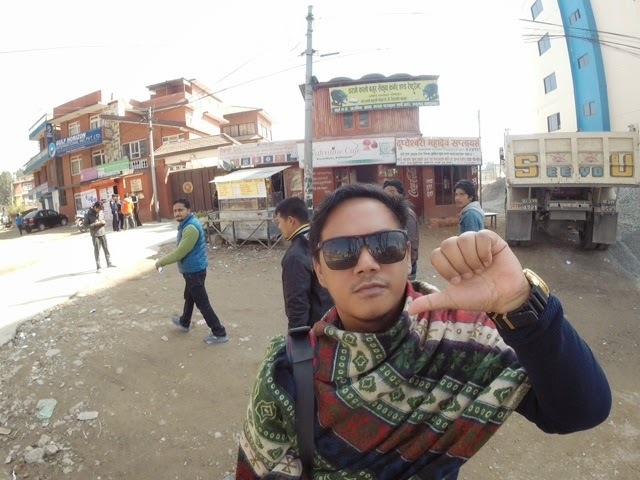 I chose to travel to Pokhara instead. I realized that things to do happen for a reason. I've been to most SAARC countries: India, Nepal, Sri Lanka and Maldives except for Bangladesh. Refusal didn't happen once but twice in my lifetime. To say that i'm pissed is an understatement but i'll be willing to accept it. If Bangladesh doesn't want me to travel around her country, then so be it. I want to travel around to experience the culture, the places and the people. Amidst all the cylones, earthquakes, famine and poverty, i was willing to embrace the country. I was willing to prove everyone wrong about the reputation of the country. I'm back to square one figuring out where i can travel next. I've been to almost all countries within the area, and Bangladesh would have been an awesome journey for me. I'm moving on, and Bhutan is already within reach. আপনি আমাকে বাংলাদেশে যেতে চান না, তাহলে আমি যেতে হবে না, কিংবা আমি কখনও কখনও যেতে হবে. Āpani āmākē bānlādēśē yētē cāna nā, tāhalē āmi yētē habē nā, kimbā āmi kakhana'ō kakhana'ō yētē habē. Jerik, I'm optimistic that you can do it one of these days. I'll wait for your story then.